Driving is an important part of daily adult life. Losing the ability to drive safely as a result of injuries, physical or cognitive conditions can have an enormous impact on a patient. The medical team who coordinate Epworth's Driver Rehabilitation Program are discovering how a driving simulator can provide a safe and stress free option for re-education. Driving a car is a complex task. It demands concentration, quick reaction times, good judgement, efficient problem solving skills and the ability to gauge speed and distance. Drivers must also be able to physically manage a car, use the gearstick, turn the steering wheel, apply the brake and so on. Numerous medical conditions can affect a person’s driving. Losing the ability to drive can have an emotional, physical and financial affect. Leading to feelings of isolation, impacting self-esteem and putting a person’s ability to provide for themselves and their family at risk. 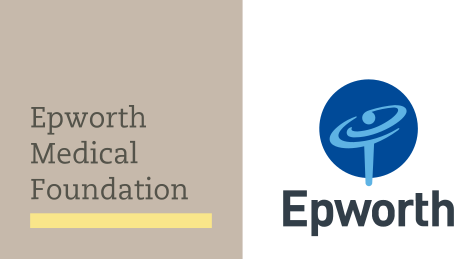 The Driver Rehabilitation Program at Epworth aims to assist people to return to driving when they are safe and ready. The driving simulator is just one of the tools the team can employ to help get patients back on the road. It might look like an arcade game but this is actually a sophisticated machine capable of retraining drivers with specific orthopaedic and neurological conditions. Driving simulators provide patients with engaging treatment sessions in a safe, controlled environment where they can practice realistic driving skills. The simulator at Epworth has also been modified so it can be used for people with a variety of physical disabilities. “We believe Epworth is one of the first hospital groups in Australia to use a driving simulator,” says Occupational Therapist Pam Ross. “Traditionally, patients referred to the driving program would come in for a driving assessment and if they needed to learn to use equipment or practice a skill they would book lessons with an instructor,” says Pam. One of the other big advantages according to Pam is that using the simulator is stress free. Many of the possible applications for this technology are yet to be explored and while lessons on the road will always have a role to play in driver rehabilitation, the team at Epworth are looking forward to exploring its potential.